I grew up on a farm in the foothills of the Rocky Mountains in southern Alberta. After graduating from High School, I studied music and theology for four years in Winnipeg, Manitoba at Canadian Mennonite Bible College (now Canadian Mennonite University). Following graduation, I worked for the Conference of Mennonites in Canada, establishing a Christian Education Resource Centre for the churches across Canada. I also spent four years on Cape Croker Indian Reserve in Ontario, doing development work under Mennonite Central Committee together with my husband, Ken. I then worked for several years with a lay ministry team, pastoring my home church. After earning a graduate degree in clinical social work, I worked as a psychotherapist in the private practices I established first in Lethbridge, Alberta, and then in Markham, Ontario. While in Ontario, my husband and I served the Wideman Mennonite Church where Ken was the pastor for almost nine years. After twenty-four years of providing psychosocial counseling services, eventually specializing in psychological trauma, I retired to Cranbrook, British Columbia. This all was taking place out there where the world could look on. But let me say a little bit about what was happening behind the scenes. 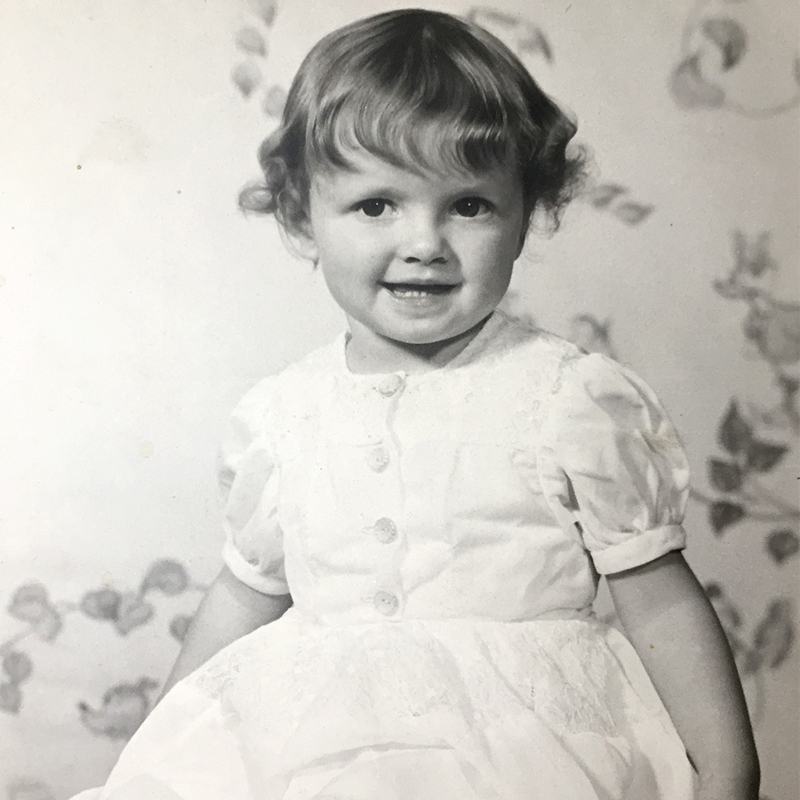 When I was a little four-year-old, I woke up one night in a fright from a nightmare about being all alone and vulnerable in a world-going-up-in-flames-end-times scenario. My mother comforted me by talking with me about Jesus and his promise to always be with so we never need be alone. I invited Jesus into my life at that time, setting my life on a positive trajectory that continues to cut through all the adversity that comes my way. I have found Jesus to be totally reliable. Here are three major examples of this. First, he gave me hope for a positive future and thus sustained me during my teen years when I hated myself and was desperately unhappy. Secondly, he remained constant during my young adult years when I was questioning the existence of God. Thirdly, by his Spirit, he has motivated me for my entire adult life to keep seeking him and loving him and reading and studying the Bible and listening to his voice. Glimpses of God’s Heart is one of the many fruits of Jesus’ reliability in my life. My response to the hard knocks life threw at me was to develop a keen interest in what it takes to make a person tick and then to do everything I can to make it easier for others to have a positive life experience. I would summarize my life’s work as doing whatever I can to enable others to enhance the quality of their lives. I loved being able to do that for many years in my psychotherapy work. I have learned that a very important aspect of a positive life experience is to establish a vibrant relationship with God, so now I’m excited about having published a book that I’m hoping will help you and many others to enjoy that life-giving relationship with the Divine. This author bio will not be complete unless I tell you how I personally have been impacted by the glimpses of God’s heart that I share with you in the book. This book has not emerged because of my strengths and virtues. Instead, it has been conceived and birthed because of my weaknesses and flaws. Let me give you one example. From a young age, I developed a codependent way of being. The misbelief that a codependent person like me struggles with is, “My well-being is dependent on something outside of myself.” This leads to maladaptive behavior like trying to control circumstances and other people, trying to perform perfectly to gain approval, and having an overly intense response to situations. So, while many times I am motivated to spend time with God just because I love God and want to experience that intimacy we enjoy, many more times my impetus to seek God comes from the desperation created by my codependence. Without fail, what I experience when I find the courage to approach God is God’s pure delight in me. As a result of my coming to know at a deep level that God treasures me, my codependent behavior gradually is receding. I am so grateful! And finally, here are a few more tidbits about me: I enjoy things like socializing with friends and family, making music, playing with my dog, writing, sharing the word of God, creating lectin-free meals, and playing online Scrabble games with my husband. I am the proud mother of two fabulous adult children (just ask their friends) and their equally awesome partners, and I own bragging rights as the grandmother of four delightful grandchildren. I extend to you my love and my hope that your life will be characterized by inexplicable peace and iridescent joy.